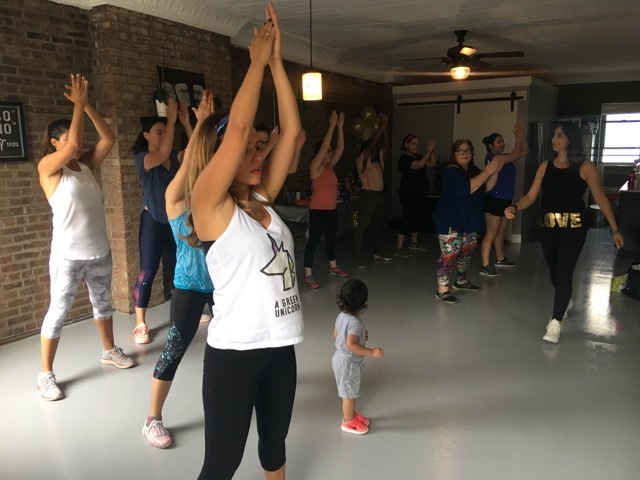 Jersey City mama Jessica Goddard opens up about her personal experience in a local slim down challenge hosted by Golden Sneaker and A Green Unicorn. 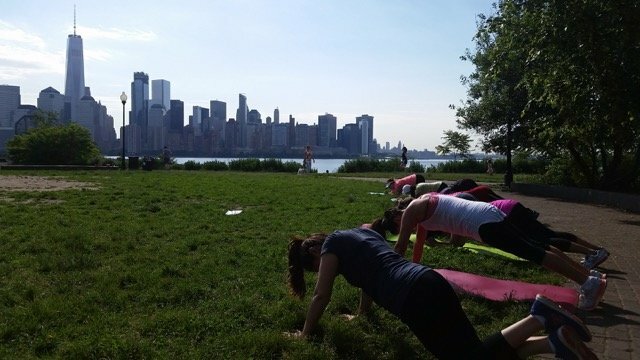 Jessica Goddard is a new Jersey City mom and a health and wellness content manager, writer and speaker. She heads up operations for Jesra Impact, which creates breakthrough content, education and networks. Jesra Impact empowers people through conscious awareness to turn their limitations into catalysts and transform their passion into purpose. When she’s not working in self-transformation or motivation, she contributes stories on human interest topics including parenthood, uplifting news, health and wellness. She loves to spread compelling and inspiring content to make cyberspace a worthwhile place. 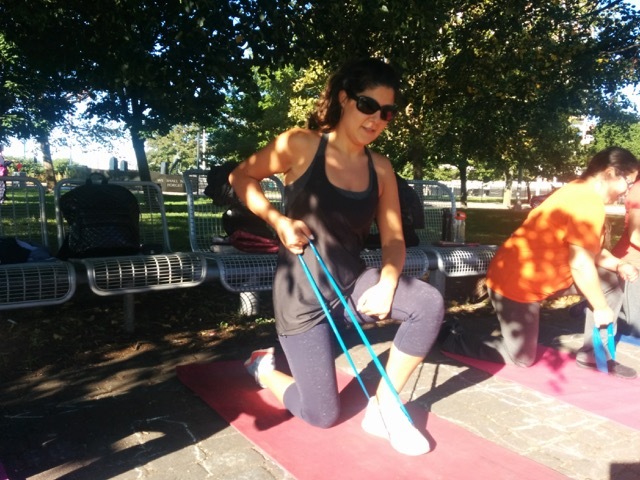 Jessica can be found at various mommy and me classes in Jersey City, including story time at Hazel Baby, walking her dog or sipping a cup of coffee on her laptop at her favorite local spot Sam A.M. The class was instantly exhilarating. Even more so than the amazing workout, it felt good to know I hadn't forgotten how to dance. 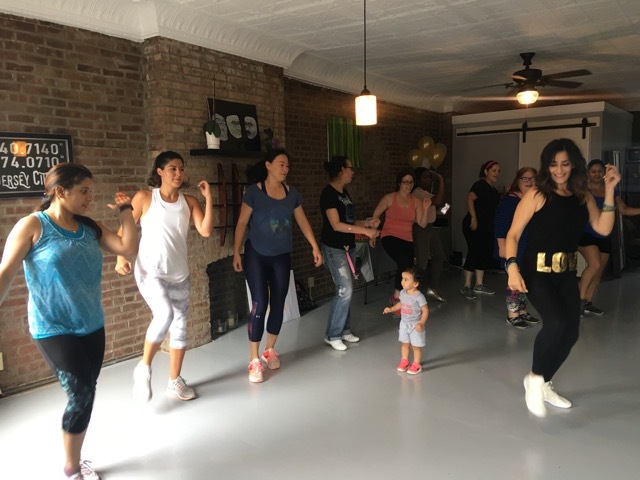 Unlike other traditional Zumba classes, Kausar created a high and low interval dance routine that increases and decreases your heart rate to burn more calories. After class, she announced a slim down challenge: unlimited Zumba classes, outdoor high intensity interval training (HIIT), a personal training session and wait for it…. a consultation with a nutritionist just for moi? Talk about built-in me time. It was starting in May, which also happened to be the month of my baby’s first birthday and baptism. It was the worst timing but something pulled me to sign up for the challenge anyway. We completed a food log of everything consumed for 5 days. I think my life began to change right then. It brought a certain level of awareness to what I was eating and drinking. A self-proclaimed healthy eater, I realized that my diet consisted of coffee with milk and my baby’s smeared leftovers. Based on the food log, I sat down with Dougmary Esquijarosa of Green Unicorn who had created a personalized report. She analyzed my diet trends and my concerns (hereditary cholesterol and hitting a mid-afternoon wall in energy level). In less than 1 hour, I learned everything I was doing right, doing wrong and walked out of there with a grocery list and 5-day meal plan (which even tells you when to move food to and from the freezer!) Every night before bed, we would post in our private Facebook group how many steps were walked (10k goal), how much water was drunk (8 8oz glasses), pictures of all meals/snacks and a post-home-workout selfie if we didn’t have Zumba or HIIT that day. We were pushed but never allowed to feel badly if we missed our goals – the next day was a chance to start over! Not only did I go back to my pre-baby body and learn a lot about nutrition, I felt part of a support group – a challenge specifically crafted for all Moms by Moms with our restraints in mind. Zumba classes have onsite childcare (only $5! ), which I have to admit is sometimes a challenge in and of itself. We exchange knowing looks when the music stops between songs and we can hear one of our kids crying, as if part of the reason we’re there is to make our skin thicker. There’s a camaraderie of “this is good for me and good for the baby.” But if one of us (usually me!) gives in, kids are welcome with open arms to impromptu Zumbini. Even if I had to rock out to “Despacito” while holding my 20-lb baby, I was able to release the weight of guilt I was carrying around – the dreaded “Mom guilt.” The slimdown challenge was time-consuming, required a lot of work and dedication but I felt good, rewarded and accomplished at the end of each day… kind of how Mommyhood has felt for me, actually. The next challenge starts October 21st! If interested, you can learn more here.